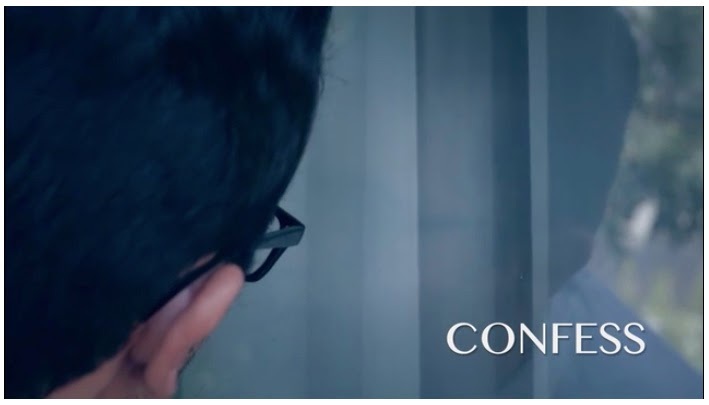 The PREVIOUS POST was my latest short film called "CONFESS." This film project was as much a film-making exercise as it was a developmental step in my film-making career. There were quite a few "firsts" for me on this one and this will be an attempt to record my workflow, experiences and lessons learned. As you may or may not know, I participate in a community of up-and-coming film-makers called Frame Society. One of the things we do in an effort to remain "productive" is give ourselves small projects or "assignments." This short film is my attempt at fulfilling the latest assignment, which was themed "secrets." In the past, I have attempted to write short scripts but was never successful in actually "finishing" them. They've always been "false starts." The challenge this time was to write a short script from start to finish. The only limitations I gave myself was to write a 2 or 3 minute piece that was "within my means," meaning, make the settings/props/situations, etc., things that wouldn't require too much time or effort to attain. With this in mind, I set out to write my script. However, within this first challenge lay a very difficult second challenge. Also in the past, I've limited my film-making to having just "me" acting in them. Why? Because I was always available when there was time. I knew what I wanted to do and it was just a matter of getting myself in front of the camera. Also, I felt that since I was learning, a lot of my projects would be "throwaways" and I felt like I didn't want to waste anyone's time with them. As fine an idea as this was, my projects never really shined. This is why I needed to branch out and hire actual actors to direct in my film. I wanted this piece to be primarily a "dialogue" piece. I wanted to see if I could conceive and direct a couple of people in some sort of coherent idea or dialogue. And thus, I limited my script to two characters. Two characters having some sort of conversation. Initially, I came up with an idea that would have my actors, or rather, actresses (mother and daughter) play out the scenes in an interior setting. However, my house being the only venue where this could happen and me having two small children who virtually run the place, I thought it best NOT to have interior scenes. So the situation moved outside. At the same time, I changed my idea around to a man and woman sort of situation. Man comes to house, woman meets him outside house, dialogue ensues, and then some sort of resolution ensues. And so, after much mulling of ideas and a couple of rough drafts, "Confess" (previously known as SECRETS) was conceived and an idea was born! So now I had the story, but I still needed my actors. I didn't personally know any actors so I decided to use a website called LACasting. My buddy Mike Tavarez had previously mentioned this site at a Frame Society meeting and raved about how easy it was to just post a "job" with a simple description, sides, a day rate and your requirements. I did just that and received an overwhelming response. 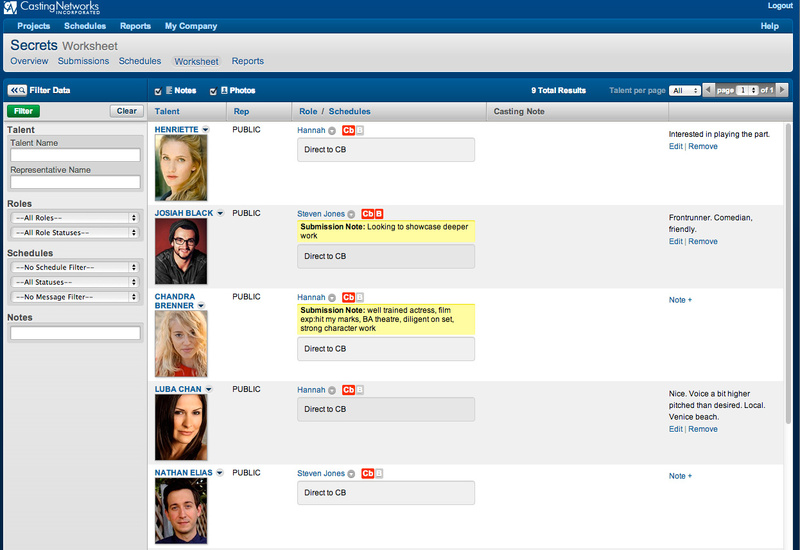 Los Angeles truly is a mecca for directors looking for actors! As far as auditions, I really didn't have much time left before the weekend I wanted to shoot, so when I posted my project, I asked for folks to be open to Skype auditions. I got a chance to talk to a few, including my two actors. It was tough, because one, I don't really know much about auditioning, and two, video conferencing auditions is sort of "new" to me. Ultimately, I settled on the folks that I felt I built the best rapport with. My actress would be Kara and my actor would be Josiah. The final BIG challenge was going to be capturing audio. Again, this would be a dialogue heavy piece so I needed to make sure I captured the best audio possible. Not too long ago, Evan Parsons shared with us at a Frame Society meeting that he had successfully used the Sennheiser MKE 600 shotgun microphone in a production he had just screened for us. The audio was impressive and I decided to take him up on his advice and obtained one of these mics for myself. Also, I knew that shooting outside would be challenging, so I made sure that I also got a deadcat to deafen as much wind noise as I could. To record the sound I was going to rely on my little Zoom H1 that I got not too long ago as well. I know it's not the best field recorder out there, but I'm on a shoestring budget and that's what us shoestringers do, right? As to what I would shoot with? Well, I got my hands on a Canon 5D Mk III and a trusty Canon 50mm 1.8. I made sure that I recorded reference audio in-camera as well as on the Zoom H1 to cover my bases. Also, I initially had this lofty idea of using a few different lenses, but when it became painfully apparent that I'd be shooting this thing "solo" I decided to stick to just the one lens, the 50mm. It made things quite a bit simpler. Well, there you have it, the "technical" side of the production, or pre-production rather. I'll be updating this post with more information as time allows. These were all the major things. There are always tons of other little things. For example, aside from the hardware side of things, I needed to make sure I printed out a few copies of the script to have on hand. Also, just to have things covered, I printed out a basic "Acting Waiver form" and later had my actors sign them. Furthermore, I needed to make sure food was lined up to have for my talent (gotta keep 'em happy!). This consisted of veggie snacks and sandwiches my wife was gracious enough to prep for me. I made sure to have cash to pay for my actors, so I made a trip to the bank. Oh, and I prayed that good weather would hold up enough for me to get the shots I needed. Finally, and something I aim to spend more time on in the future, I decided to make a shot list. In my mind, I had an idea of how the film would look and flow. So I just wrote down the shots that I thought I would need. An establishing shot, mediums, close ups, OTS (over the shoulder), etc. However, in the future, I hope I'm smart and diligent enough to make a more comprehensive list and/or create storyboards and animatics as well. One thing that became abundantly clear was that it is VERY easy to burn through the day and, knowing EXACTLY what you're going to do, will help you get the most out of the precious day. The plan for the shoot was simple. Rehearse the scenes a couple of times and shoot 4 or 5 different takes of the same scene to have enough material to pick from during edit. And that's what I ended up doing. Since this was the first time the three of us would actually meet in person and work, it took a little bit of banter before we got comfortable with each other. Once we were there, I was able to get "serious" and begin the actual task of directing. My actors were very patient with me. I explained to them that this WAS my first time working with actors, first time capturing sound, and didn't know if this would turn out any good. They were very reassuring and gave me the time and energy that I needed to get this film out. For that, I'm very grateful. Lastly, my only real technique was to try and achieve something in the style of what I recently saw in the award winning film "CRASH"directed by Paul Haggis. It's nothing special, but this film is so intimate, I wanted to mimic some of the framing he did during his dialogue scenes. I may have lost some of that close intimate framing during the shoot, but that was only because I had so many other things going on at the same time. This taught me that on the next project it would be very beneficial to have others helping me out. I realize how important it is to have crew now. One big lesson I learned was that when shooting OTS (Over The Shoulder), it's really important to pick a spot behind your actor/actress, and NOT move. (Have the actors not move either!) Why is this important? During the edit, cutting together the back and forth of the actors, I realized that at one point I started to "drift" away from my actor Josiah (playing Steven). This was possibly due to the fact that I was standing on the edge of a little ledge protruding off a wall and I was possibly losing my balance. I had gone up there because Josiah is taller than me and I needed the height to frame that shot. When you cut back to one of the characters and the framing suddenly isn't the same, it's jarring. It feels as if the scene was filmed at a different time, or from a different place, or something. If you were immersed in the scene, as an audience, this would take you right out. Lesson learned! The biggest issue I had was that I was shooting right out in front of my house and it so happened that THAT particular day my next door neighbor was having a tree cut down. So in the middle of my second take, the faint noise of a chainsaw made it's way up my headphones mid-sentence. Ugh. Fortunately, it let up within a half hour and didn't entirely ruin my day. Another big AUDIO issue is the fact that I'm only four blocks away from the freeway and I happened to have my mic pointed in THAT direction. I was so nervous and preoccupied, I suppose I just didn't realize it. Oh well. The last big issue I had was that there are cars in the back of my actors and the one closest to us, in my OTHER next door neighbor's house, is moved mid shoot. So, if you're following "continuity" you'll detect that in some scenes there's a large SUV behind my actress and in some there is not. Again, something I didn't really think about until I had to but there was nothing I could do to prevent it. Thus, I now wholeheartedly understand the need of a CONTROLLED ENVIRONMENT. The last phase of the project was to simply put all these separate elements together. I'd say I worked on the edit for a good week, week and a half maybe, during the evenings. I used Adobe Premiere CS6 as my editing package. Photoshop CS6 to prep the bus element and create the basic title card and finally, I used Audition CS6 to help me with all my audio issues. If you watched the film, you'll see that it's a total 4:50 mins in duration. I had meant it to be no longer than three minutes, but alas, it's something else I'll have to learn how to control. Overall I'm pretty happy with how it ended up. I was satisfied with how I directed my actors, how they performed. I knew the film wouldn't be PERFECT. It has a lot of issues. It moves a bit slow. I tried to trim as much "fat" as I could. But again, this was just something I know would serve me more as a learning experience than anything else. I hope you get a chance to see it and hope you don't think it's horrible. If anything, this experience has left me very excited and motivated to create at least one more short film. I want take the lessons I've learned here and apply them and try not to make the same mistakes I made again. I want to push myself and create something a bit more ambitious with the ultimate goal of at least making it "entertaining." THAT is the ULTIMATE challenge after all, isn't it? Thanks for reading.